Great show!! We love it!! Please renew for another season, want to know what happened!! At first I didn’t like it. I thought it was going to be boring. Like a Murder She Wrote show. But I stuck with it to give it a chance. And now it’s my fav show. I truly hope they do another season. And even if they don’t, they should at least give us answers. I know I deserve it for sticking with it. They can’t just end the show with no answers. I know they could but it would be unfair to leave it like this. I have thoroughly enjoyed this program. I only wish it came in a little earlier as I view it at 11:00 pm AST. LOVE this show!!! Love the actors, great plot, keeps you going each week wanting more! PLEASE renew this show, can’t wait to see who gets shot!!! This needs renewed for a season 2. Great show, Great cast, and great writers. I hope they take into consideration that people record the show and don’t watch it live. I don’t know if that does anything to ratings but we never watch it live and neither do some of the people i know who watch it. We watch it with our kids so 9pm is too late for us to start a show so we save it for later in the week and watch it earlier when we can all watch together. I really enjoy this show, I rarely watch TV and I watch this. Please renew the show!!!! Please renew manifest best show I’ve seen in a very long time! Excellent show….looking forward to season two. It’s not a must watch show. I’ll watch it if I am not busy. 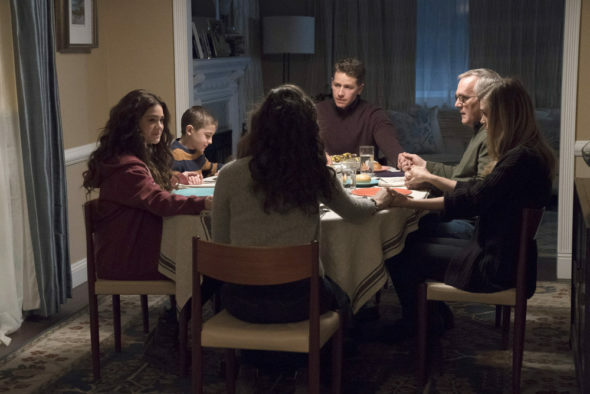 If NBC cancels Manifest, I swear to God I will boycott every sponsor of NBC and never watch NBC again. Losing TIMELESS was enough. Give this show time, please. Best show on tv nowadays. Really want a season 2 and beyond. Please bring this show back for season 2!!! I love this show.. very entertaining! Favorite show in a long time. Please renew it for a 2nd season!! !